First time buyers are finding it harder than ever to get the money together to finance their first home. As a result, many are turning to the Bank of Mum and Dad. Here’s what you need to know about helping your child buy a house. First-time buyers face significant hurdles buying a home. According to our Homeowners Survey 2018, 74% of people who don’t own property would like to but can’t afford it. Three quarters of them said that high property prices prevented them buying and two thirds said they were struggling to save a deposit. This is why help from parents is becoming increasingly important. In fact, the Bank of Mum and Dad funds about 25% of mortgage transactions a year, according to a research report by the insurance provider Legal & General. The Bank of Mum and Dad is the 12th biggest lender alongside all the big banks and building societies, handing out £5.7bn last in 2018 to help children buy their first home. How can I help my child buy a home? Do I need to get financial advice before I help my child buy a home? 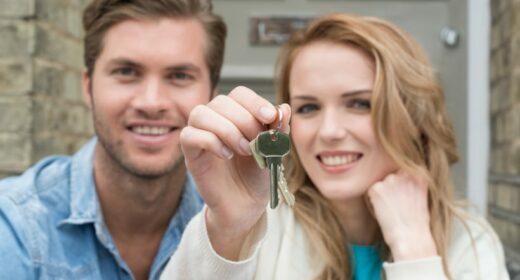 If you are thinking about helping your child onto the first rung of the property ladder, make sure you think it through first. Research from Legal & General has found that 17% of over 55s were enduring a lower standard of living after helping their children buy a house. Before you get involved in your child’s house purchase, we would strongly advise you get independent financial advice. An IFA can help you work out exactly how much assistance you can afford to give. Can I gift my child money to buy a home? The majority of parents give their children the gift of cash to make up the shortfall in their deposit and boost their borrowing power so they can access a cheaper mortgage deal. Most banks will accept a deposit that has been gifted (or partly gifted) but they may ask for written confirmation from you stating it is a true gift. There are two reasons for this. Firstly, for affordability calculations they want to know the money isn’t a loan that requires regular repayments. Secondly, they want to know that if the worst came to worse and they had to repossess the house, you don’t have an interest in the property. Are there any tax implications to gifting money? Children won’t have to pay any immediate tax on money gifted to them from the Bank of Mum and Dad. And parents won’t pay any tax on the gift either. However, down the road an inheritance tax bill could be due. Everyone is allowed to give up to £3,000 a year away, and it is immediately exempt from inheritance tax. You can also carry over any unused allowance from the previous year. This means two parents could gift their child £12,000 without inheritance tax being a problem if they hadn’t gifted any other money to anyone in the previous two years. If you want to give more than that – or for some other reason don’t have your full annual inheritance tax allowance to play with – then the money could be liable for inheritance tax. If the person gifting the money was to die within seven years it would still be classed as part of their estate for inheritance tax purposes. This means if their total estate, including the gift, is worth more than £325,000 then up to 40% tax would be due on the excess. The amount of tax due on the gift decreases as the seven years elapse. How much tax is due on the gift will depend on how many years have passed since it was handed over. Read more in our guide How to keep on top of inheritance tax. It may be that you can’t, or simply don’t want, to gift your child money to help them buy a house. Another option is to lend them the money. It is relatively straightforward to draw up a loan agreement. This should set out any interest being paid on the loan and when it needs to be repaid – for example when the property is sold. You should also include what happens to the money if anyone involved in the loan dies, or if the parents need the money back. Just be aware that a loan would need to be declared to a mortgage lender if one is involved in the purchase. This could have major implications for a mortgage. A loan could affect mortgage affordability calculations as lenders will factor repayments on the loan into the child’s outgoings. Some banks won’t accept a borrowed deposit as the money comes with strings attached. It will limit the number of deals your child will be able to apply for. How can parents protect a house deposit gift? If you are giving your child money for a deposit and they are buying with their partner or friend, you can protect the money you have gifted in the event they split up with a declaration of trust, or deed of trust. The solicitor working on the property purchase can draw up a declaration of trust. This states who the money was gifted to – so you can specify you gave it to your child and not to them and their partner. If the couple break up this document will ensure your child retains ownership of your financial gift. It can also clarify if the money is a gift or a loan, and if the latter when it needs to be paid back. The people buying the property can also use a deed of trust to lay out responsibilities for outgoings and what happens to the property if their relationship breaks down. Bear in mind though, that if your child goes on to marry the person, they bought the property with this could affect the deed of trust. While we are talking about the legal side of gifting money you should also consider updating your will to reflect the gift that has been made. Children may also want to write a will to ensure the gifted money goes back to their parents if they die. You can use a portion of the equity in your home as additional security against the loan. So, if your child takes on a loan for 100% of the property, you can use the value of your home as security against 25% of the loan. If nothing goes wrong, it shouldn’t cost you anything. But if they are unable to keep up with repayments and they default on the mortgage, you would be liable for a portion of the loan. This could put your own home at risk. There are a few offset mortgage deals available which allow for parental savings to be offset against a child or family members mortgage – these are known as Family Offset Mortgages. This reduces how much interest your child would pay. The main drawback is that you cannot access your savings until the term is up. But read about whether an offset mortgage is right for you in our guide to offset mortgages. A guarantor mortgage is a product where you, as a parent or close relative, act as a guarantor for 100 per cent of the mortgage debt. Essentially, you are agreeing to cover the mortgage payments if your child fails to do so. The guarantor can be removed from the mortgage at a later date if your child can prove they are able to take on the debt by themselves. Guarantor mortgages have been phased out in recent years, but they haven’t completed vanished from the market. You could take out a joint mortgage with your child, making you equally liable for the repayment of the loan. The upside is that with your combined incomes, you may be able to afford to take on a larger loan. The big drawback to this plan is the additional stamp duty rate. If you already own a property, then your child’s new home would count as a second home. This means there would be an additional 3% stamp duty due, which could make the property significantly more expensive. You can find out more in our guide to stamp duty for second homes. Plus if it is your second home and you are still on the mortgage when the property is sold, there may be capital gains tax (CGT) liabilities. Some lenders will let you take on a joint mortgage, but your name doesn’t have to be added to the property’s title deeds, allowing you to side step these tax problems. Always make sure you get the right advice before you make any decisions. Gifting money to help your child buy a house can be wonderfully generous, but it can throw up some problems. Here’s the pros and cons of using the Bank of Mum and Dad. A tax-free gift. Provided the parents live for seven years after the gift the money will be tax-free. It also helps parents reduce the size of their estate, which can reduce a future inheritance tax bill. Lower monthly repayments. The Bank of Mum and Dad can help people put down a bigger deposit on their first home. This means they can borrow less and possibly get a lower interest-rate, which means lower monthly repayments. A better home. By helping boost the deposit the Bank of Mum and Dad could help their child buy a better property. Whether it is a slightly bigger home, or in a better area this could mean your child doesn’t need to move again in a couple of year. This could save them thousands in the cost of buying and selling property. Better mortgage choices. A bigger deposit can open up the mortgage market with more deals to choose from. Reduced mortgage options if loaning rather than gifting. Loans from the Bank of Mum and Dad can have repercussions on your mortgage. Some lenders won’t accept lent deposits as it means someone else has an interest in the property. Additional information for lenders. Mortgage lenders, estate agents and solicitors can all request to see proof of funds. Parents can have to show evidence of where the money they are gifting has come from. This can mean presenting numerous bank statements and certified ID. Relationship breakdowns. These days most people buy a home with a friend or partner. In the event of that relationship breaking down you could find your child’s ex waltzing away with half your money. Prevent this by getting a deed of trust drawn up. Family friction. If the Bank of Mum and Dad lends to one child in a family it can cause friction with other children which overshadows their relationship forever more. Smaller savings. Gifting money to your children could leave you struggling in the future. Before you open up your own branch of the Bank of Mum and Dad assess your finances and work out how you can afford to help. 1. Tell people. When you appoint a solicitor make sure they know that some or all of your deposit is coming from your parents. Also let your mortgage broker know as it can affect mortgage offers. 2. Loan or gift. Lenders, solicitors and estate agents may need details about the money. A letter from your parents explaining that the money is a gift, including the exact amount, will be useful. If it is a loan then an agreement stating how much is being lent, any interest due and the repayment terms will be needed. 3. Sort out ID. Your parents, as well as the purchasers, will need to provide proof of their identity to your solicitor. Find out what your solicitor will accept and arrange it as soon as possible. 4. Proof of funds. Anti-money laundering checks mean you will have to provide evidence of where the money for your deposit has come from. This means your parents will need to provide bank statements showing how they have built up that money. You can find out more in our guide to proof of funds. 5. Legalities. Ask your solicitor to draw up a deed of trust to show what happens to the money in the future. Make sure this covers whether the money needs to be repaid and what happens if the property is sold.